A IS FOR ASTONISHED AND AGOGWhich were Julie Raffet's reactions when Caleb Tarrington, a most eligible–and wealthy–bachelor made his proposal! Caleb wanted a tutor for his newfound son–but was Julie interested in a temporary position?B IS FOR BOLD AND BREATHLESSCaleb's determination was hard to refuse. Yet the sophisticated single dad shied away from women dedicated to their jobs–and still he wanted Julie! Could he forget the past long enough to see the caring heart behind Julie's prim facade?C IS FOR CALEB!And for the charm that was nearly irresistible. 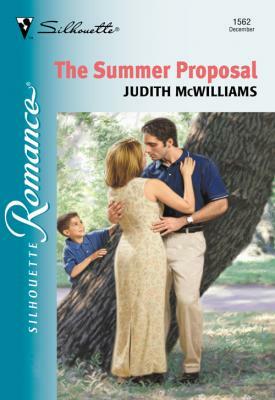 Once the summer was over, would he offer Julie a permanent position–in his arms?